Your countertops aren’t simply a part of your decor. They get used every single day and take a great deal of wear and tear, thanks to all the activities that go on there. For instance, they might be used to prep food for breakfast, then serve as a desk for writing a note to a friend, along with a wide variety of other activities that go on through the day. Still, we believe they should be just as beautiful as they are useful and never let you down, at any point. Cavender’s Interiors offers a variety of cabinet lines to make sure you get exactly what you need. With a variety of brand names in stock, we have solid surface, laminates, quartz, decorative hardware and other accessories as well. We invite you to come check out the amazing products we have when you visit our showroom in Cookeville, TN. From there, we serve the areas of Cookeville, Crossville, Sparta, Livingston, and Baxter, and we’d love to serve you as well. 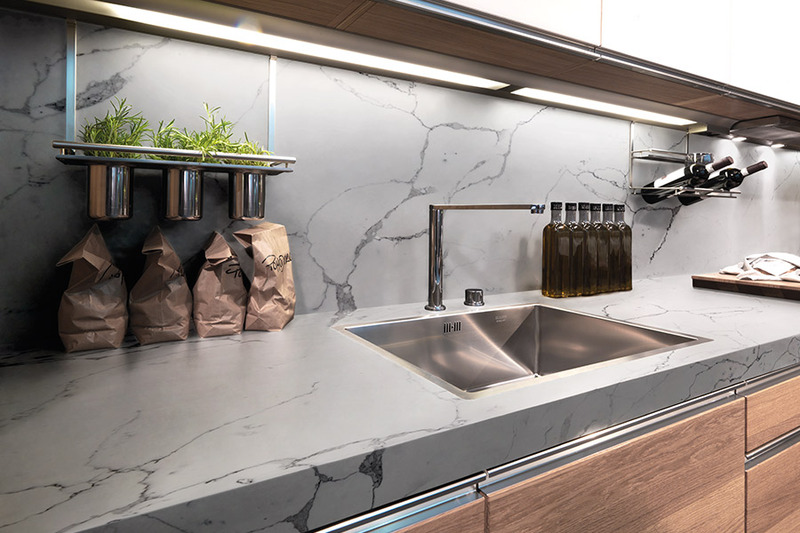 For homeowners on a budget, custom countertops can sometimes seek out of reach. That’s why we make it a point to carry brands that will fill your need as well as cater to your desire for gorgeous counters. Don’t let your financial concerns be the reason you skip the consideration for these amazing pieces. You’ll more than likely find just what you’re looking for, and just in your price range. One of the main reasons a homeowners decides to upgrade their countertops is a change of preference. When you bought your home, or last upgraded, you may have greatly enjoyed laminate counters. However, after a few years, and seeing some new kitchen trends, you now have your heart set on granite. While not a necessity, it’s important that the surroundings in your home bring you a sense of peace and joy. There’s nothing wrong with switching things up just because you want to. On the other hand, necessity is a major driving factor as well. There are only so many kitchen trinkets and small appliances you can use to cover up chips, cracks and stains. After a while, it’s simply time to go for new counters that will breathe new life into your kitchen. And this time, why not opt for a material that doesn’t chip, crack or stain so easily? With a variety of brands to choose from, you can literally pick the amazing benefits you want in your own home.